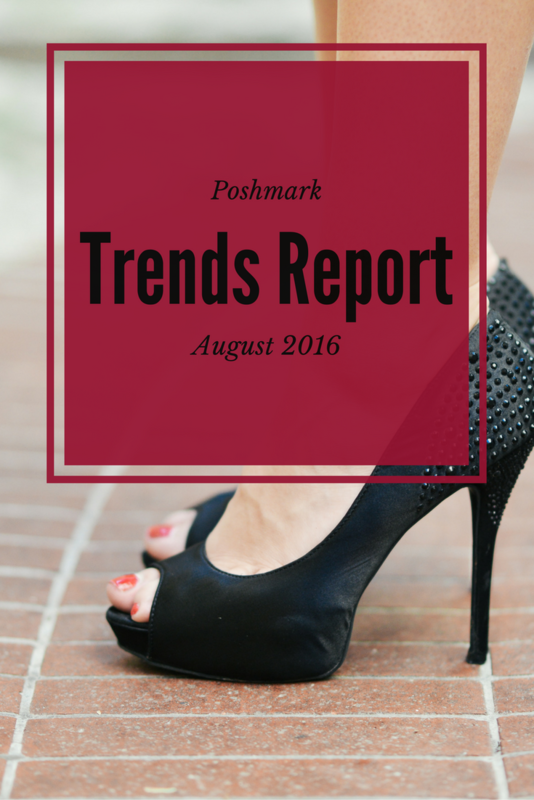 Amanda and Kate are back with August’s report for what styles and brands are trending on Poshmark right now. Here are all the details that they shared to help you make this your best fall ever for your closet! It’s all about transitioning from summer to fall right now. Since it’s getting to be a weird in-between time of the year, it can be hard to put together the perfect outfit. But luckily, Kate has some great ideas for things you can start adding into your wardrobe now that will last you through the full-on Fall season. And now that she has mentioned them, buyers will be looking for these transitional pieces right away. Anything. Literally, suede anything. Jackets, clothes, shoes, accessories. It all goes. From nudes to blacks, this trend also has a wide variety of options. Bonus points if they have stacked heel to keep that summer trend going a bit longer! Kylie Jenner is a fan and LOTS of Poshers are following her lead with this huge fall trend. Especially, olive bomber jackets. There are a lot listed right now, but there is also a lot of demand. So you can’t go wrong getting some of these listed in your closet right now. Apparently, everyone at Poshmark Headquarters has been wearing chokers lately. 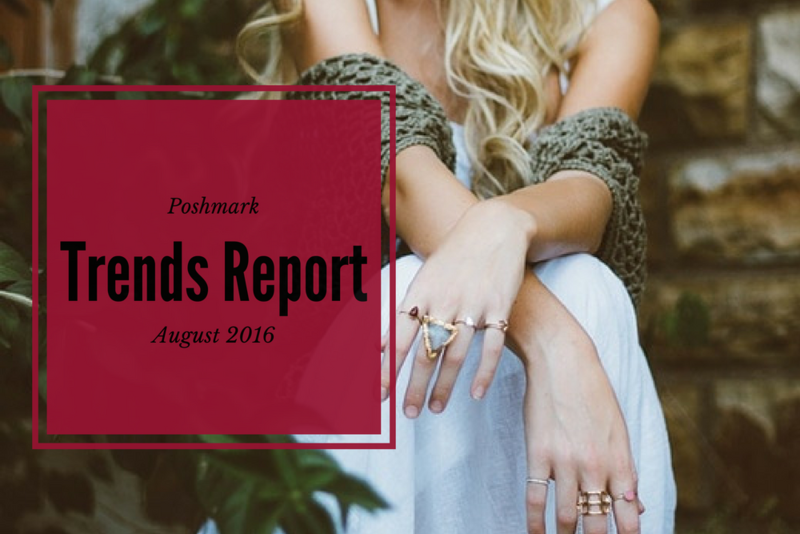 Lululemon has always been a very popular brand on Poshmark, but it is STILL gaining more and more popularity. All of these brands are comfy and very casual, but still the super cute kind of casual. Kate theorizes that these kinds of brands are going strong because school is just getting started again and shoppers want that comfy casual look. Especially the Transport Tote, a classic leather tote bag that’s also great for the back-to-school season. These sell super fast on Poshmark. So knowing that, don’t be tempted to take a lowball offer. Someone else will come along willing to pay the price that you really want for this listing. Obviously, the back to school season calls for backpacks. But not just any ordinary backpack. Come on, we’re poshers! The cute fashionable ones are all the rage. Herschel and VS Pink packs fit the bill and are in demand. Get your Fall items stocked now. You’ll want to have everything ready as buyers start looking for those pieces. That means inventory at your home, cover shots taken, listings made and prices ready. If you have been waiting to list any of your fall pieces, now is definitely the time, so don’t forget about those and miss out. It’s just over a month away now!! Poshfest is on October 1-2. And Amanda and Kate will be doing a Trend Report live for all of the attendees. You definitely won’t want to miss out on the absolute best tips for what to sell on Poshmark. And better yet, HOW to sell it. They will be freely sharing a whole lot of data on trends and brands. This could be a fantastic opportunity to learn how to take your Poshmark closet from ho-hum to wowza!! You will be learning directly from the pros and will get to meet so many awesome poshers who building big businesses on the app. If you haven’t purchased them yet, grab your Poshfest tickets right here. 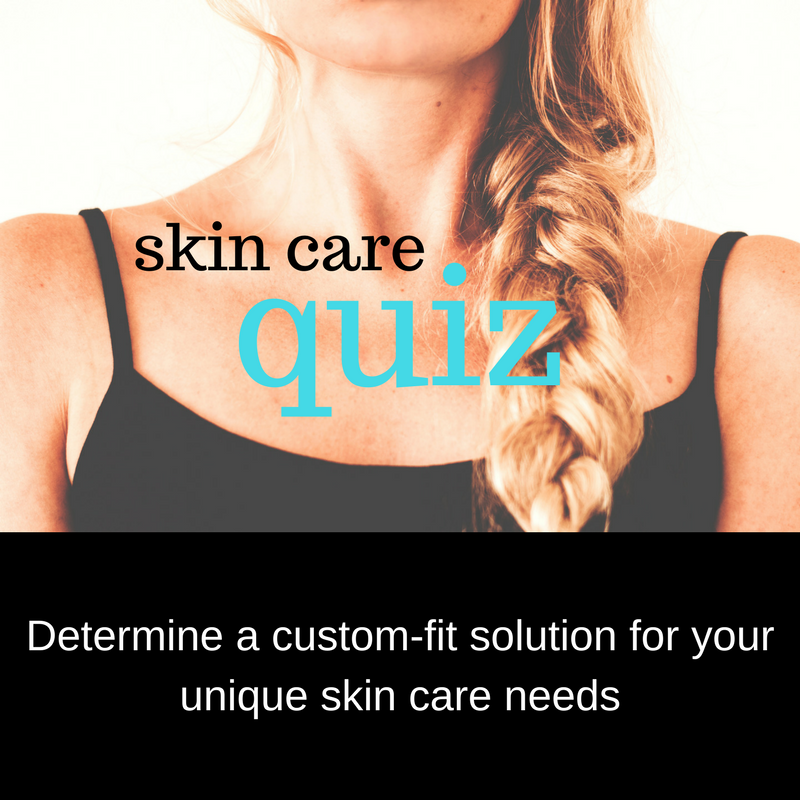 Are you planning on going to Poshfest? Have you ever been before? Tell us what you’re the most excited about! !